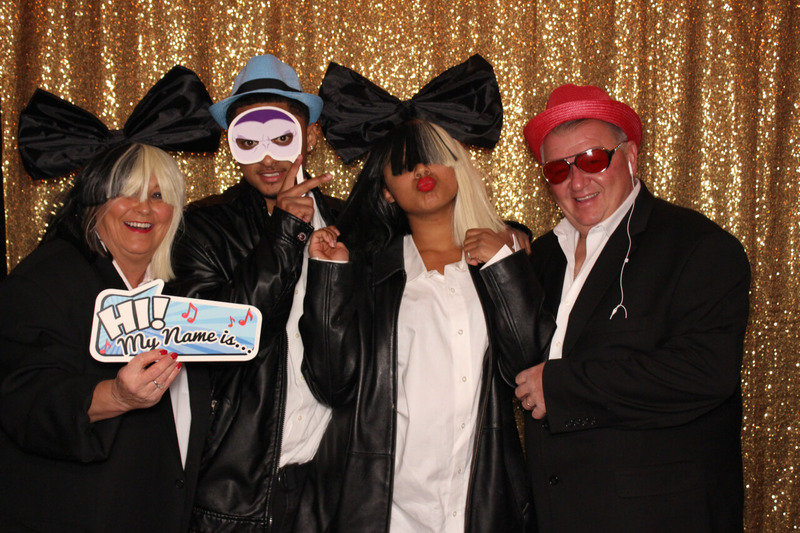 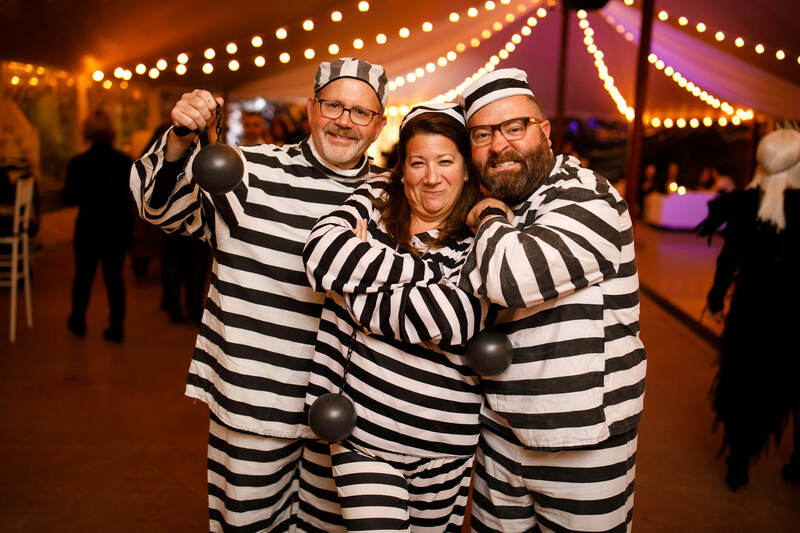 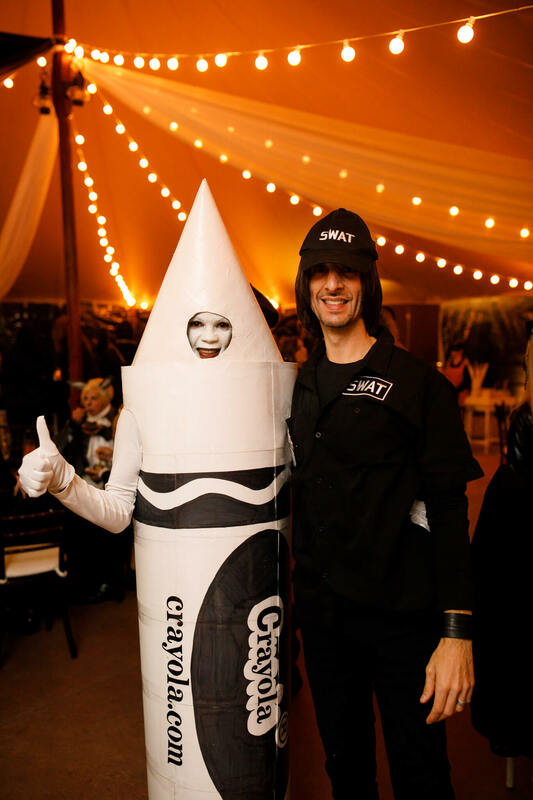 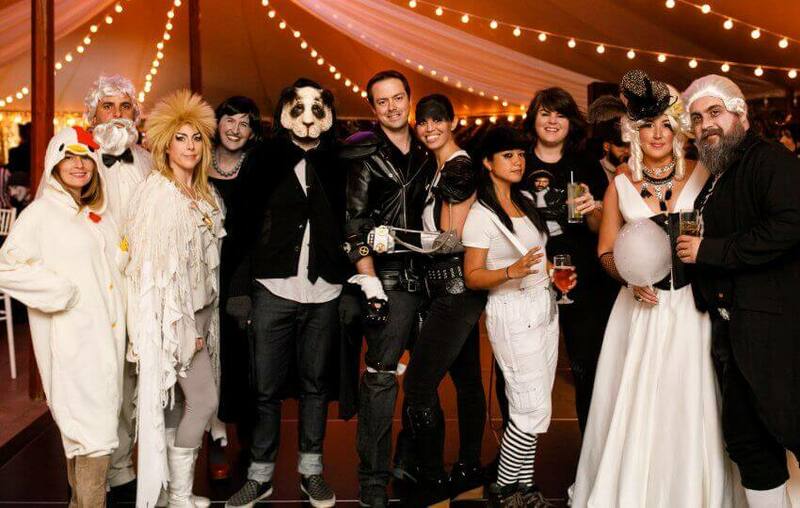 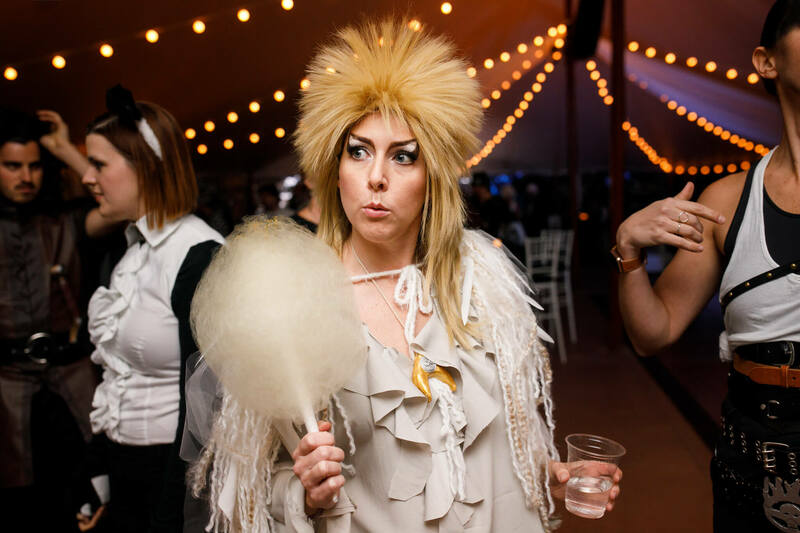 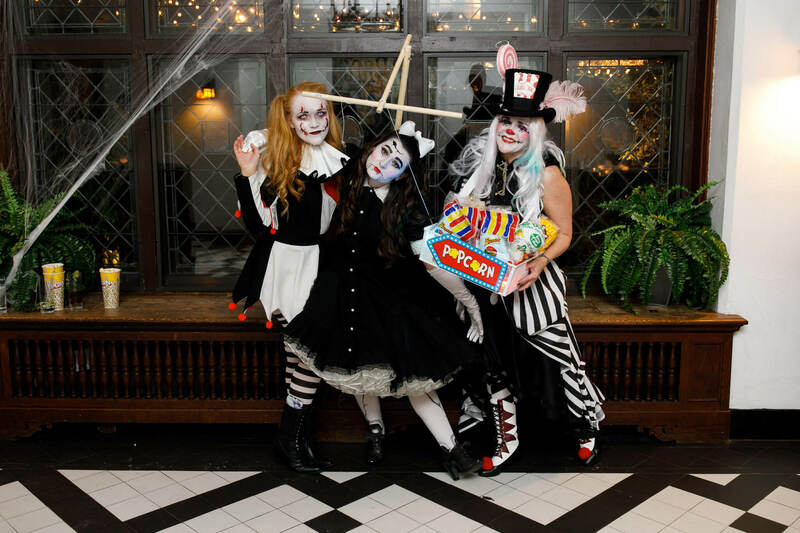 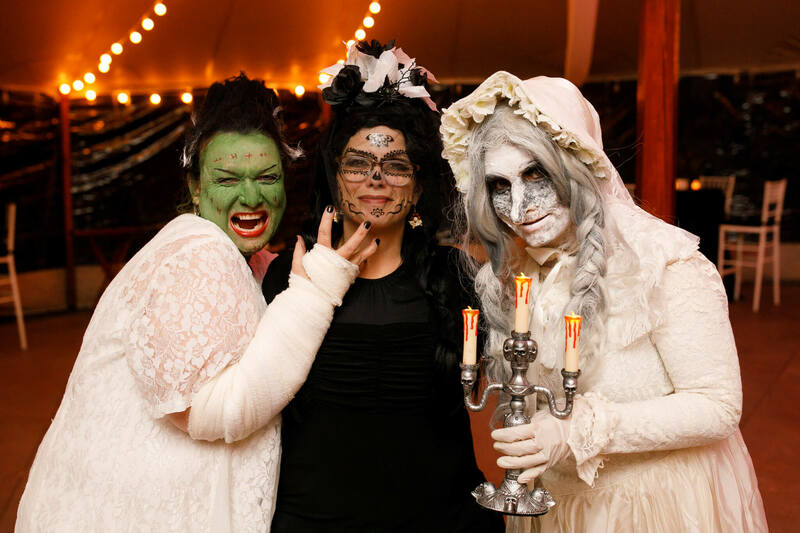 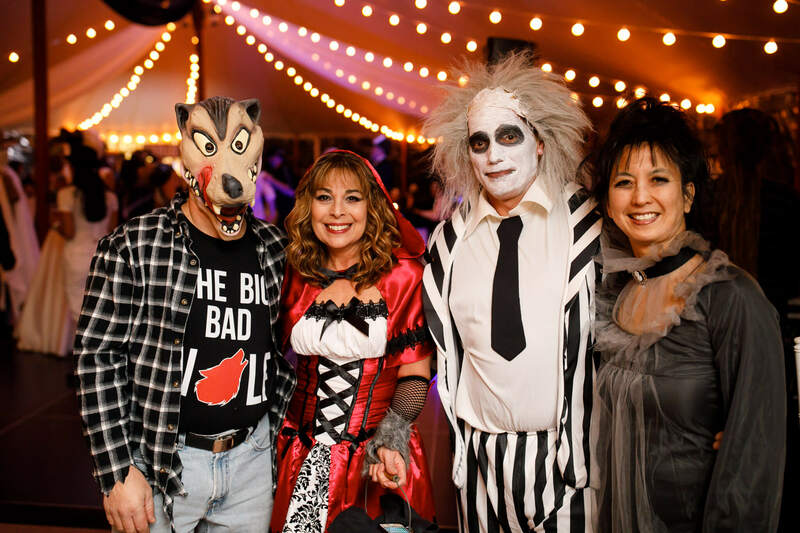 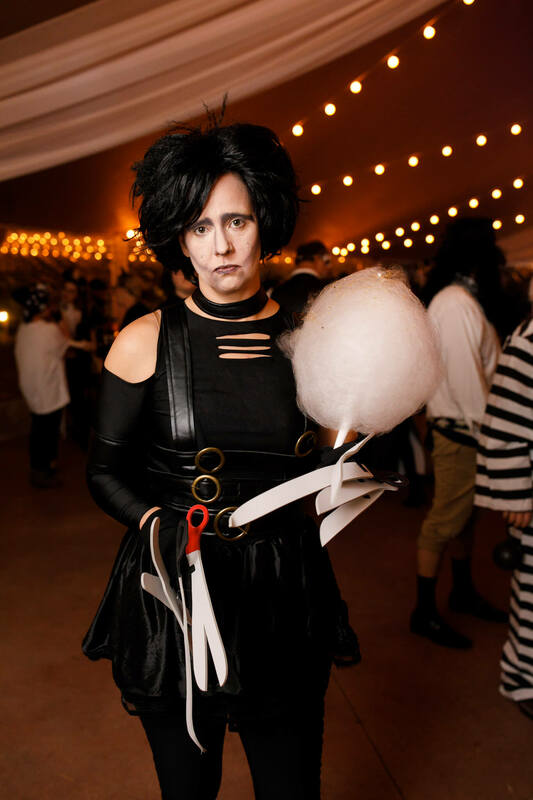 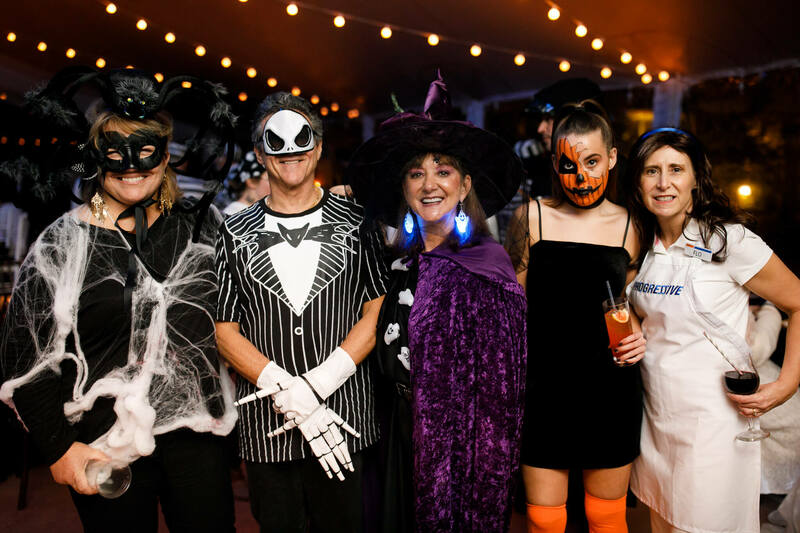 We had a great turnout this year at our 6th Annual Halloween Gala and we love seeing all the creative black and white costume ideas! 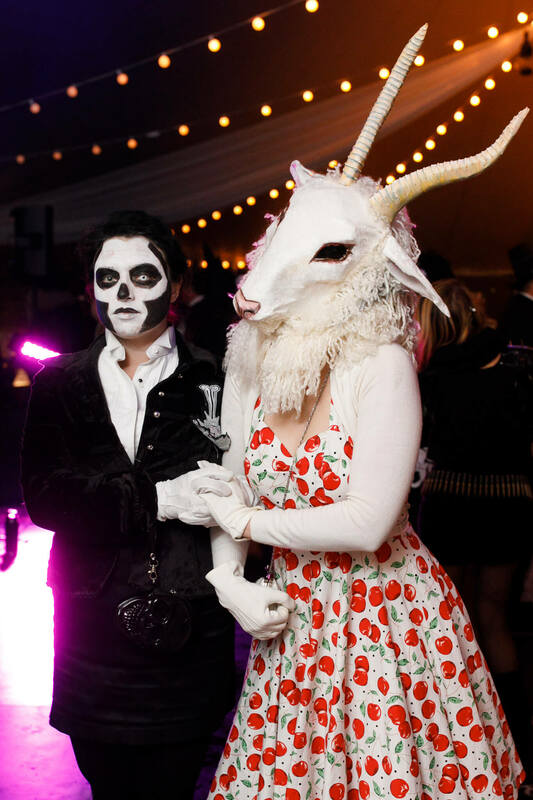 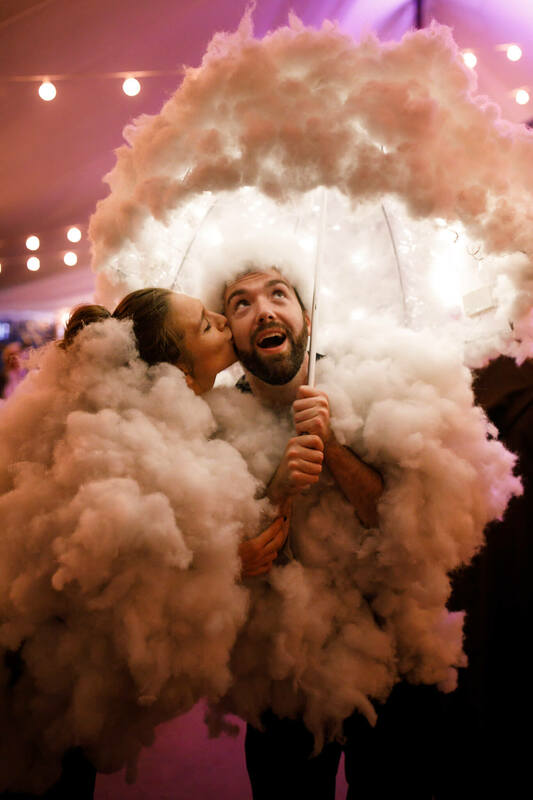 Each year we have two dance floors with great music, full bars that feature signature cocktails, spooky décor, food stations, and desserts! 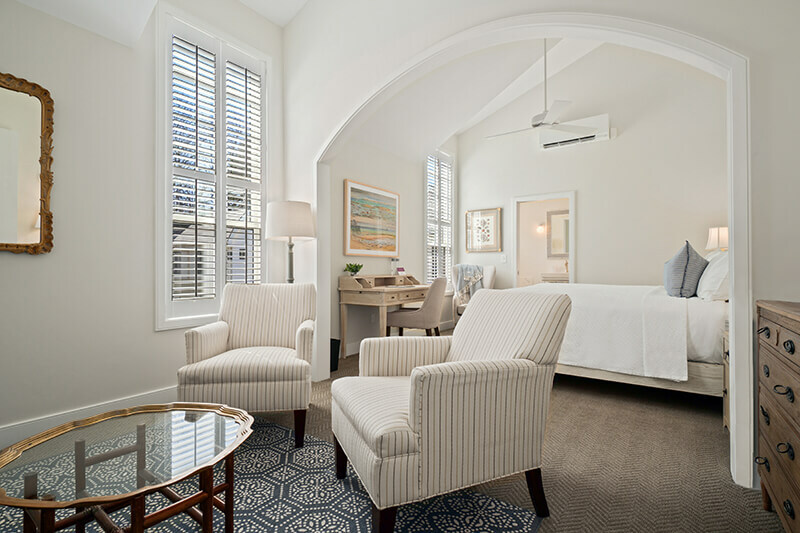 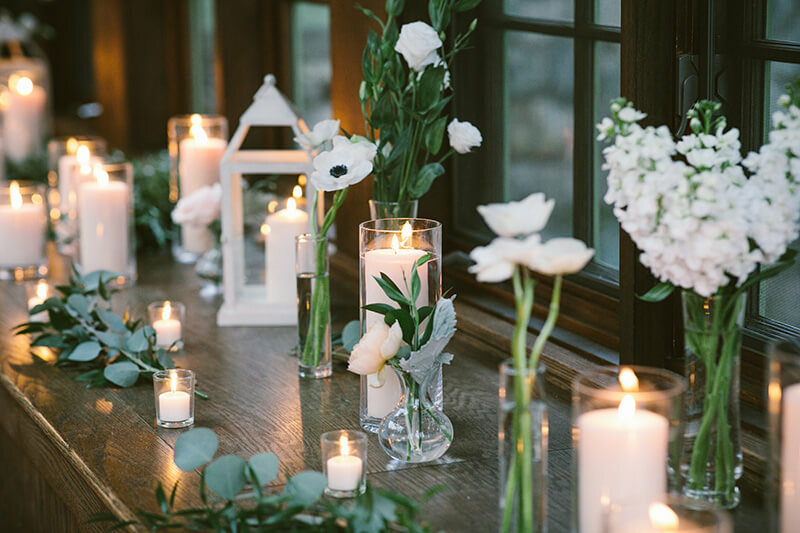 Our décor stuck to the black and white theme as well. 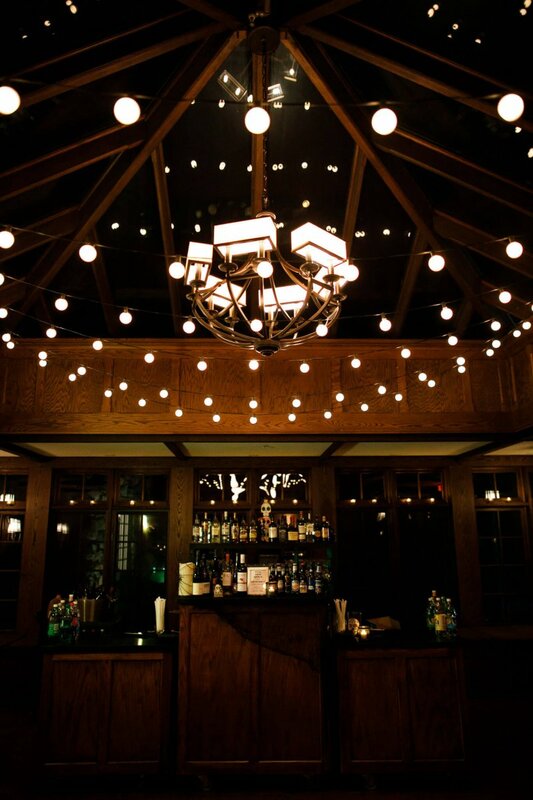 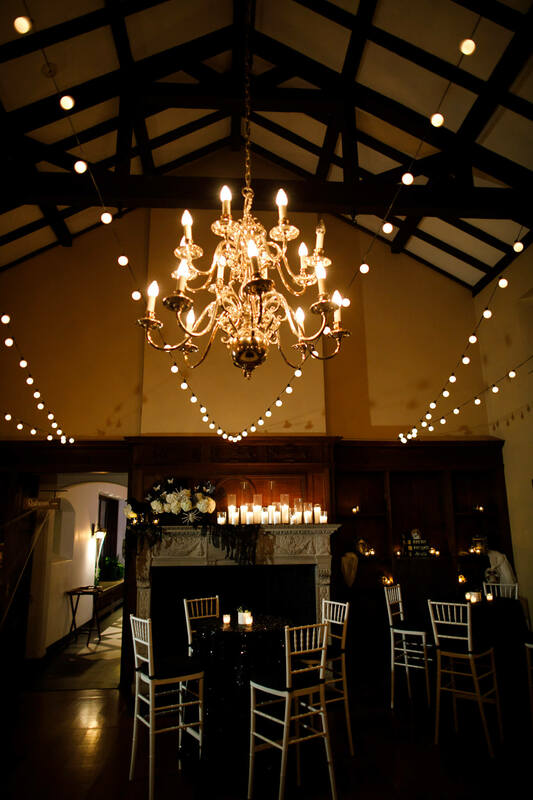 The mansion and tent were covered with cobwebs, candles, black draping, and bistro lights. 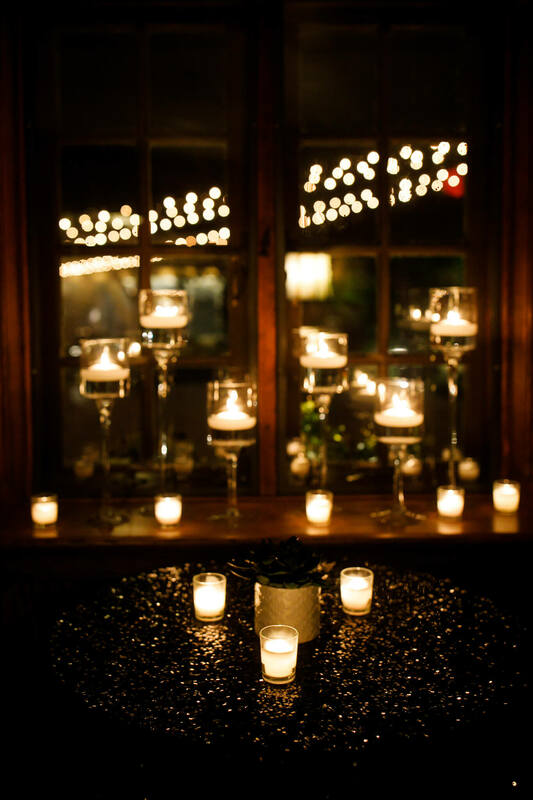 Cocktail tables were dressed with black velvet or black sequin linens. 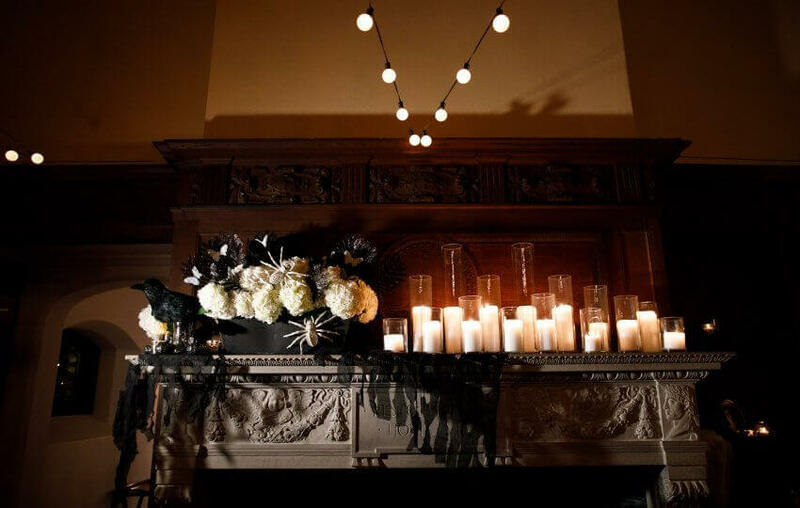 Floral arrangements included black and white flowers with skeleton spiders and white ceramic vases with succulents. 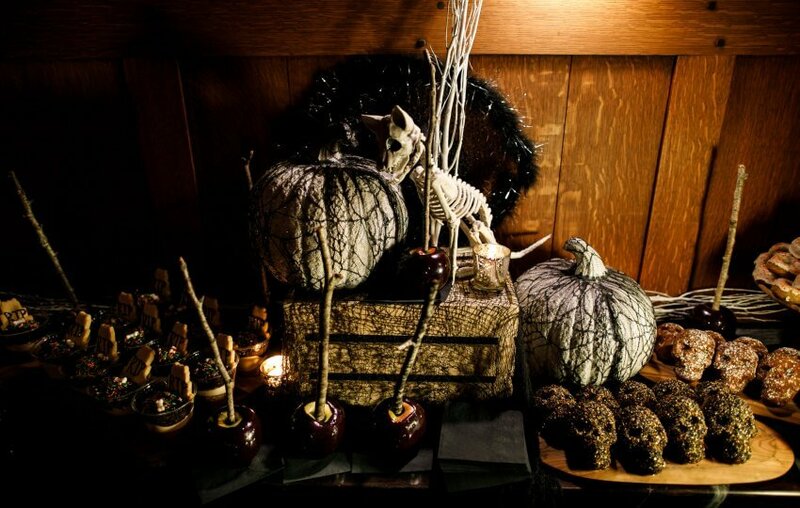 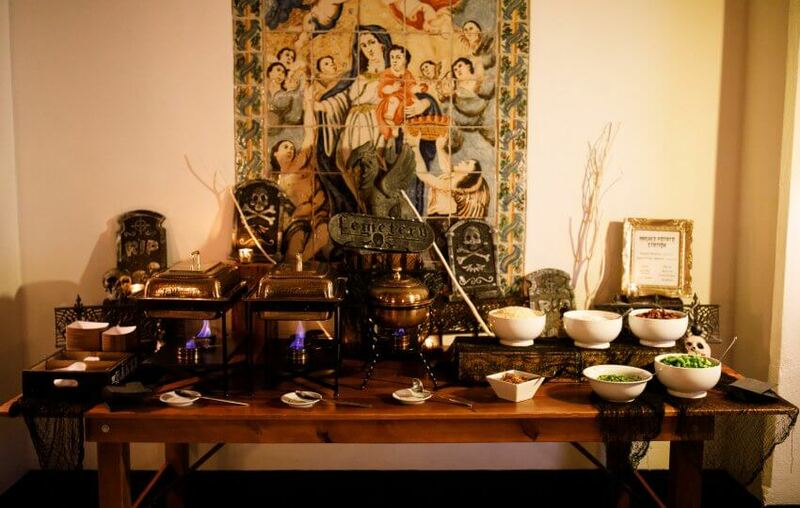 Black and white skulls, pumpkins, and cauldrons decorated our food and dessert stations. 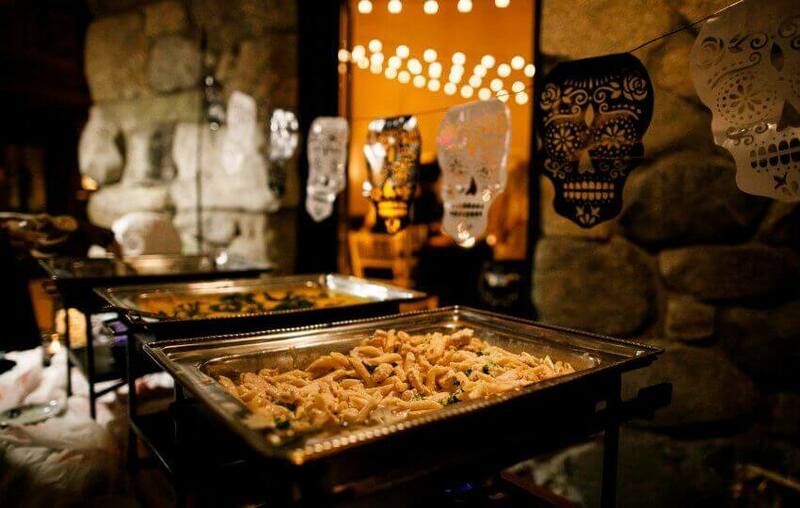 The menu included passed appetizers like Bacon wrapped sausage-stuffed date with piquillo pepper sauce, calamari with black aioli, and eggplant polpette with tomato dip. 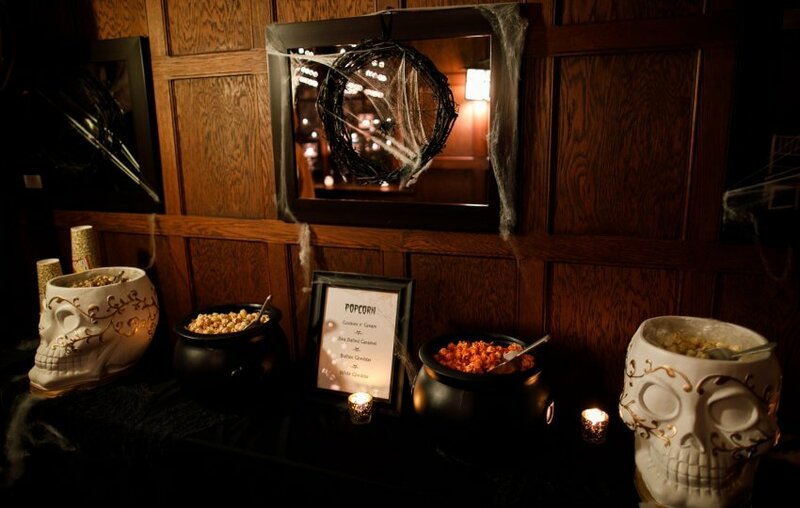 Our pasta station and mash potato bar offered delicious comfort food. 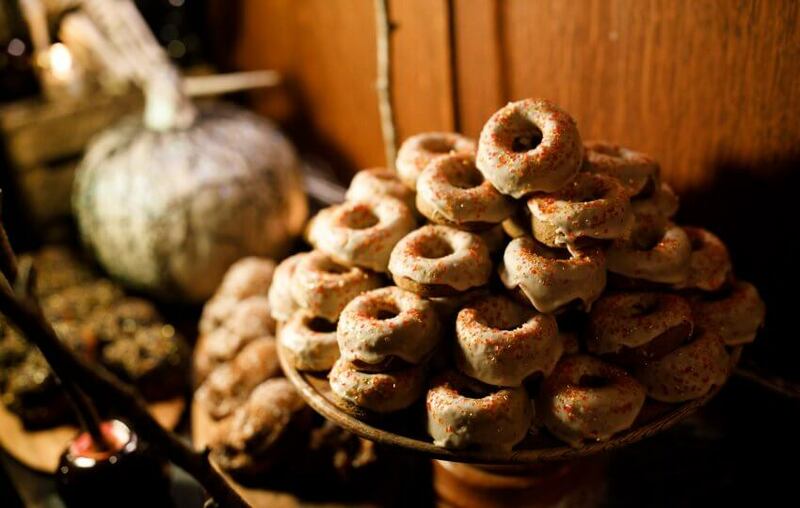 And of course, we can’t forget about dessert! 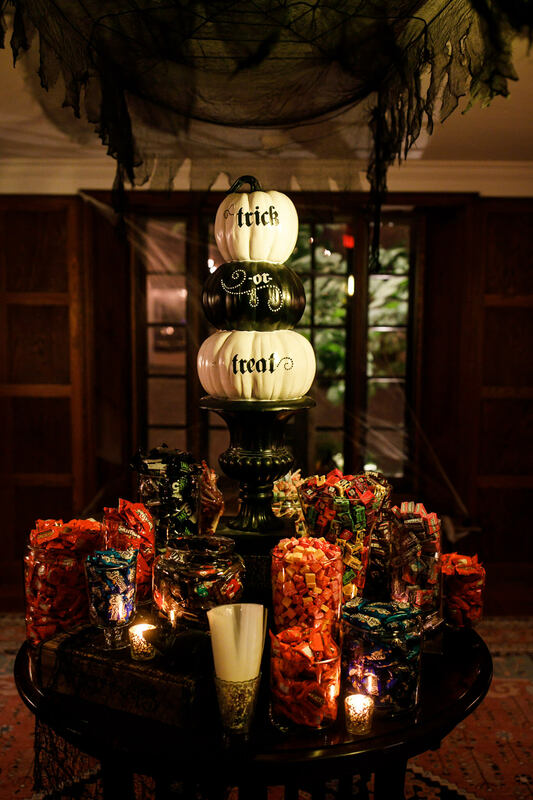 The very first thing you see upon entering is our welcome table with jars and jars of candy. 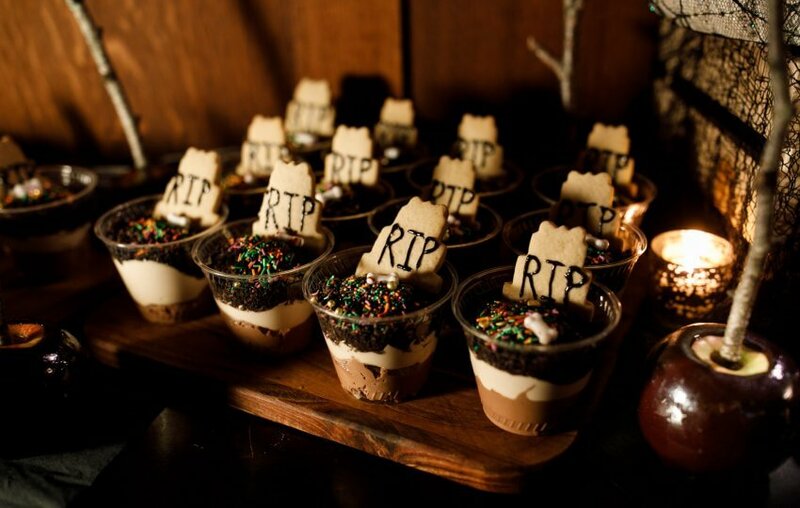 We also had pumpkin skull cakes and “Graveyard Cups” with mocha mousse, whipped cream, and oreo crumb.